D.J. Scheffler & Nye specializes in a variety of shoring systems: Cantilever, Internally Braced, Secant Pile Wall, Soldier Pile & Tieback, and Soil Nail Shoring. Continuous Flight Auger (CFA) equipment is employed to construct a secant pile wall. 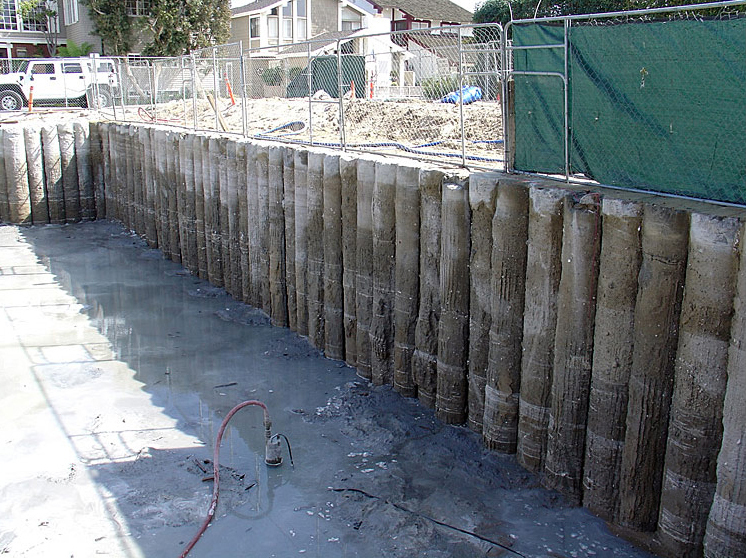 Simply put, secant piles are overlapping concrete piles that form a strong, watertight barrier. On the first day of drilling, “soft” piles are drilled in predetermined spots. On the following day, “hard” piles are drilled in between the soft piles. These piles actually core into the soft piles on either side of them. The hard piles are made of high strength concrete, and are often reinforced with steel I-beams or cages. Similar to tiebacks, soil nails are installed in rows across the excavation’s face. The number of soil nails per row is dependent on earth conditions and design loads. Soil nail shoring systems include steel bars grouted in place with cement. Steel reinforcing mesh is laid over the face of the excavation connecting the steel bars together. 3000-4000 psi concrete is then sprayed over the mesh in the form of shotcrete. To see D.J. 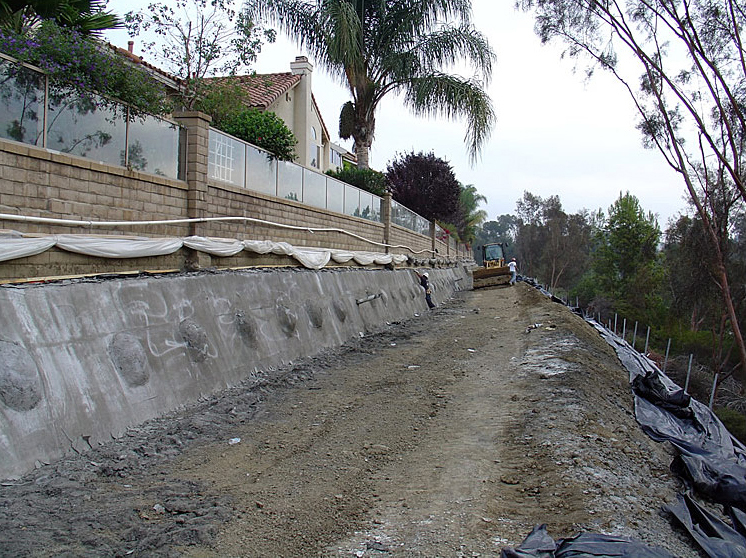 Scheffler and Nye's extensive experience at work in providing earth shoring solutions for some excavation projects in Southern California, check out our Earth Shoring Projects page. See Our Earth Shoring Projects Here!